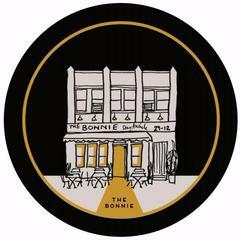 Since opening in 2014, The Bonnie has been Astoria's favorite destination for craft cocktails, elevated bar food, beer garden-style outdoor drinking and private events. Chef Nick Testa, a recent winner of Food Network's Chopped, prepares eclectic comfort food and award-winning brunch, and barman Mike Di Tota creates cocktails based on inventive herbal infusions as well as classic recipes. The ever-bustling bar prides itself on serving the best of drinks and tasty eats in a warm and inviting setting. The Wall Street Journal praises the bar's "warm, intimate vibe" and the New York Times names The Bonnie's sprawling outdoor bar garden as the place to spend summer nights. Bon Appétit names it one of New York City's best brunch spots.<br><br>The Bonnie is part of Sleeping Giant NY (harri.com/sleeping-giant-ny), a family of independently operated bars united by a shared work culture and the chance for employees to grow and explore opportunities across different locations. To learn more, please visit www.sleepinggiantny.com.